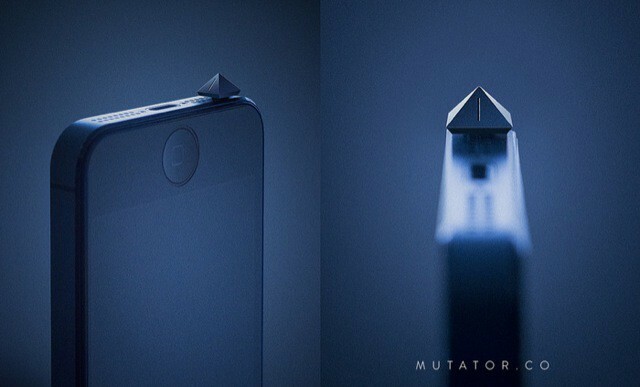 The Mutator is a hardware mute switch for your iPhone. What’s that you say? You already have a hardware mute switch on your iPhone? Well, yes you do. But – as the poor fellow who caused Mahlergate found out – mute doesn’t always mean “mute”. When you slide the iPhone’s mute switch, it silences most hints, but it won’t silence any alarms or alerts you have set. This is usually a good thing: I don’t want to miss a plane (plane rides are the only time I set an alarm, being a work-from-bed blogger). Nor will it silence music that you play by pressing play: that’s the kind of thing Windows computers do, the kind of thing that has me hurling them out of the nearest window minutes after switching them on. 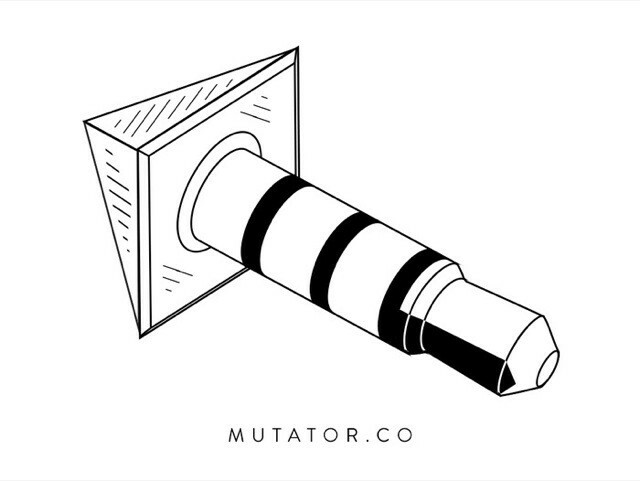 The Mutator, on the other hand, silences everything. And it does so by blockage up the headphone port. Stick a pair of headphones into the iPhone and sound is channeled through it. Stick in a jack plug without a pair of headphones attached and al goes silent. The twist (literally) here is that when your turn the Mutator through 90 degrees, it disengages and lets sound resume. That makes it like an on/off knob for the phone. switch, you should be good.